SEATTLE – The Seattle Storm today announced a 10-year partnership with Symetra Life Insurance Company, a national provider of employee benefits, annuities and life insurance based in Bellevue, Wash. Per the agreement, Symetra branding will appear on the upper left-hand shoulder of the Storm’s home and away jerseys. 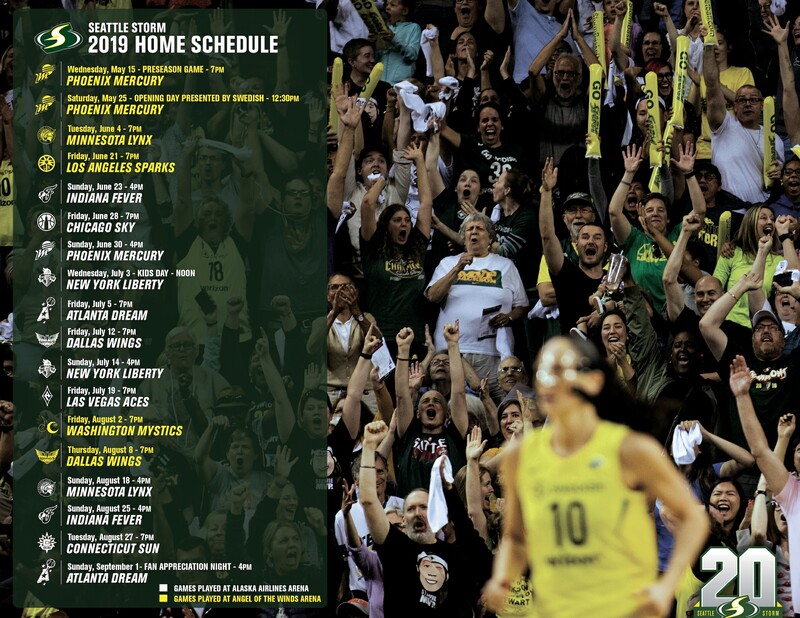 In addition to its jersey patch sponsorship and designation as ‘Official Life Insurer of the Seattle Storm,’ Symetra will also present the team’s 2019 campaign celebrating the 20th season in franchise history. The Storm will embark on its title defense on Saturday, May 25, hosting the Phoenix Mercury at Angel of the Winds Arena in Everett, Wash. The game, which tips off at 12:30 p.m. PT, will be broadcast on ABC. The organizations will unveil a joint community partnership and future philanthropic endeavors later this spring. Symetra will also serve as the presenting sponsor of ‘Inspiring Women Night’ for the next decade of Storm basketball. Started in 2006, this annual tradition allows players and fans to recognize and thank the women who have contributed to the strengthening of the community. The Storm jersey will be on display at tomorrow’s WNBA Draft 2019 presented by State Farm, in which the Storm holds the No. 12 pick. Coverage of the first round begins at 4 p.m. PT on ESPN2 and will also stream live on the ESPN app. To view announcment video, click here. The Seattle Storm is a three-time WNBA championship team committed to bringing a premium professional basketball and entertainment experience to a fan base rich in tradition and support. The organization places high value on community and building platforms to positively impact the overall entertainment, attraction and economy of the Puget Sound region. In addition, the Storm is dedicated to local youth development in the areas of fitness and wellness; with a special emphasis on inspiring leadership, motivation and the empowerment of girls and women. For more information or to purchase tickets, please visit StormBasketball.com.